It's that time of the week again! 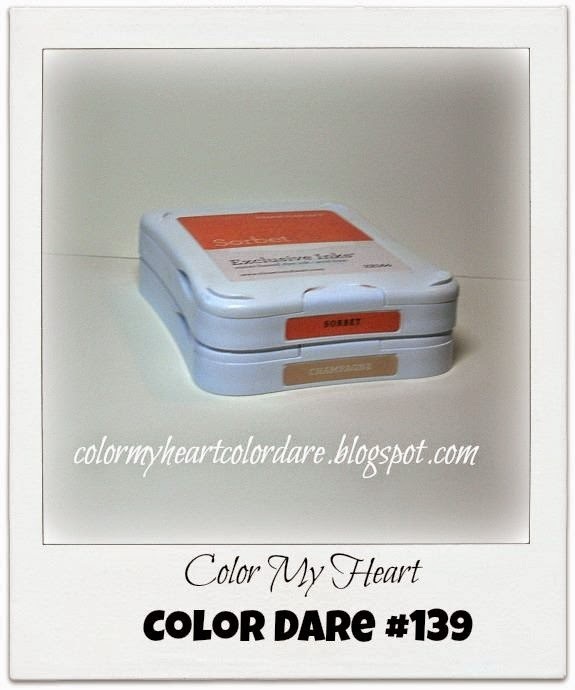 Time to announce the winners who participated in Color Dare #138. 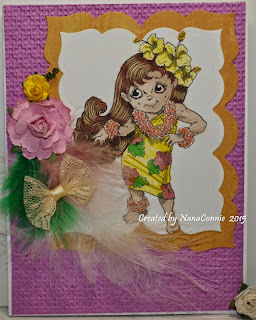 The colors for this dare were: Smoothie, Sunset, Canary, Pear Juniper and White Daisy. That's a lot of colors to work into a project and all those that participated did a great job! It was a close vote to be sure! 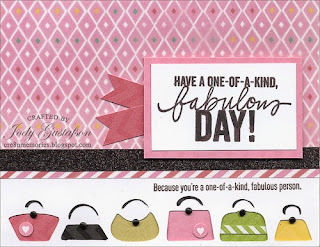 Our Diamond winner is Sue R. and her adorable honey card. The Emerald winner is Jody G and her bag and tag collection. 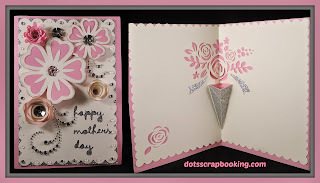 The Ruby winner is Debi and her fun pinwheel card. 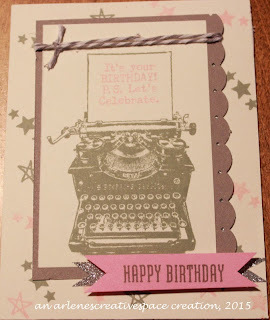 And our Sapphire winner is Debbie B and her very cute birthday card. A big thank you to ALL that participated in the Color Dare. We love, love, love seeing all the artwork! To the winners.....congratulations! Don't forget to grab your badge from the top of this page. 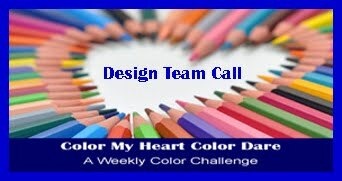 There is still time to participate in the color dare for this week: Color Dare #139. The colors are Sunset and Champagne with an option to add pearls. If you don't have those exact colors just use something close. Directions on how to join are in the sidebar. Come join the fun! Now it's your turn! Create something using these colors. If you don't have the exact colors, use the closest you have. Take a photo of your project, post it to your blog, and link it up with us here. Please include our link and challenge photo in your blog post and use a direct link to link up with us (not your blog in general.) Most importantly, have fun! You can read our complete rules on our sidebar. 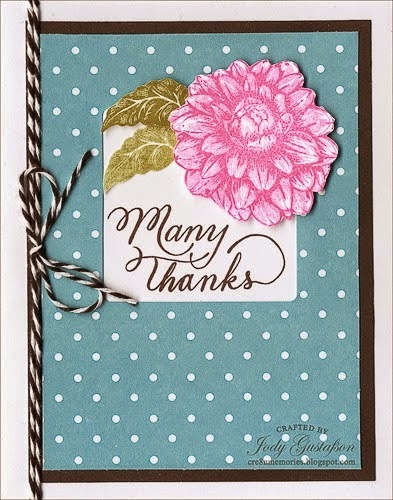 Thank you to all the wonderful ladies who participated in last week's Brushed color palette challenge! You had eight colors to combine and you all did a fantastic job. It was not easy to pick the winners this week! Didn't they do a fabulous job? The Design Team had some stunningly beautiful items to share too. Please leave them a congratulatory note on their blogs. Winners--don't forget to grab your winner's badge from the top tab. You still have plenty of time to join us for Color Dare #138--Smoothie, Sunset, Canary, Juniper, Pear and White Daisy. The Linky will be open until 9PM CDT on Thursday, April 23. We would love to see what you can do with these bright and cheery colors. (If you don't have these exact CTMH colors yet you can substitute similar colors). Have fun with it! Here's what our fabulous Design Team has come up with! Please visit our winners’ blogs and leave them some appreciative comments. Hope you can join us in this challenge. The deadline to enter is Thursday, April 16 at 9PM CDT. Don't worry if you don't have the Brushed paper pack. Just use these colors on your project or the closest ones you have! Here's what our Design Team came up with! Another month has gone by so that means it's time for another Prize Winner! so we can get your prize on it's way to you. Hopefully you all had a wonderful time with family and friends this past weekend. Now it's time to announce our weekly winners! 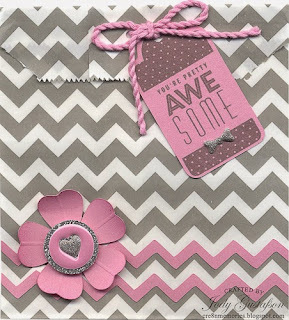 The Diamond winner is Sue R. and her very cute bunny shaker card. 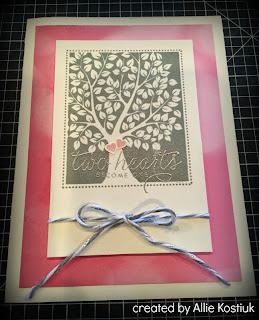 The Emerald winner is Debi with her beautifully simple sympathy card. 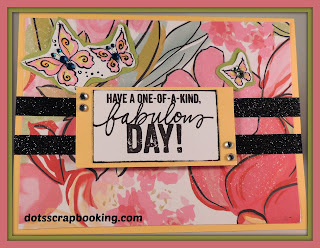 The Ruby winner is Tonya W. and her birthday tag card. 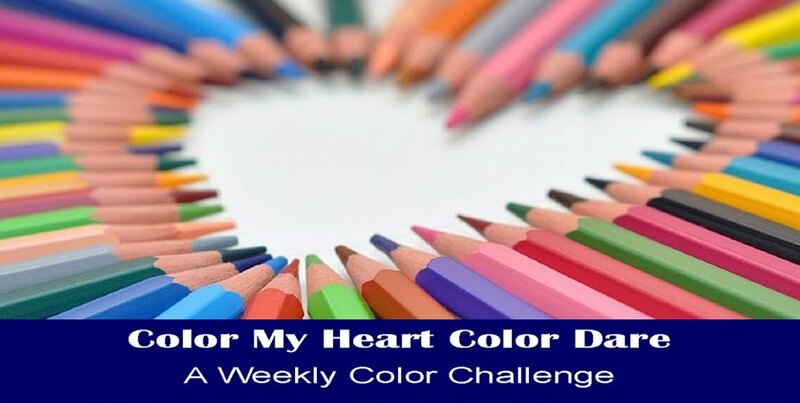 Thank you very much for sharing your talents with Color My Heart Color Dare. We hope you join us for future color dares! Be sure to grab your winner's badge from the top of this page. Thank you to all who entered the color dare. We really appreciate you! There is still time to join the current dare. 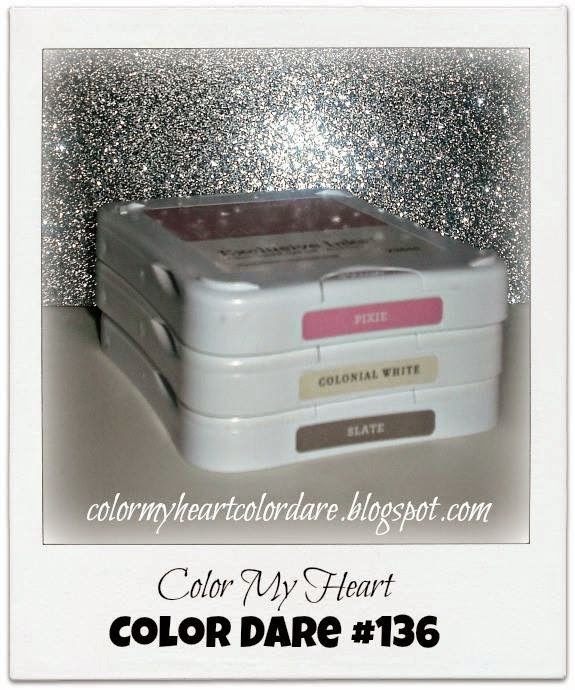 Color Dare #136 features Pixie, Slate, Colonial White & Silver. If you don't have those exact colors just use something close. Click here for details and Design Team samples. You'll find details on joining the color dare in the sidebar. Come join the fun! Good morning. How is everyone this morning? I'm fine, but just recovering from a nasty strep throat virus and ear infection with ruptured eardrum. That is not a thing I would wish on anyone! 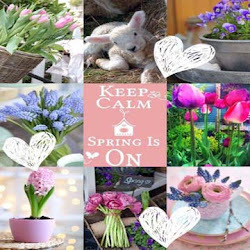 I'm so thankful for the warm weather this week, and I'm looking forward to Easter Sunday. Today I'm dwelling on being thankful for the gift God has given us through the death of His Son, Jesus Christ.